As a business owner in the pet care industry, We are always looking out for our employees. One important benefit we needed to offer is health benefits. However, cost of insurance has become ridiculously expensive in North Dallas as well as across the country. Especially for self employed and small business owners. We have spoken to many insurance companies and the quotes we got for our employees were very expensive, about the same or higher. It got to a point where we almost gave up and thought that we will need to wait until our business continues to grow or when there is a positive change in the health care industry where health insurance becomes more affordable. But as a business owner focused on employee retention, how can we be competitive against other business owners that can afford high cost health care benefits to their employees, or to add health benefits as a solution for our employees to take care of their health’s and their families health? The solution is Exactus Physicians located at 4510 Medical Center Drive, #314, McKinney, TX 75069. Their phone number is 972-439-5639 and their website is www.exactusphysicians.com. We came across Exactus Physicians and met the owner, Dr. Zieser in McKinney, TX to learn more about his health care services and how it can benefit our employees. It was also great that Dr. Zieser took the time to come visit our business and speak to the employees about his services. 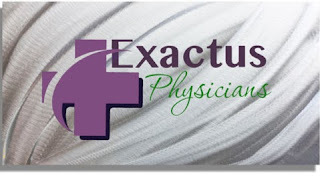 Many of our employees signed up with Exactus Physicians and love the service. Our employees enjoy the help from Dr. Zieser to take care of their health at any time by phone or in person. The health benefits from Exactus Physicians are very affordable and extremely reliable. Now our employees have direct care with Dr. Zieser, a primary care physician in McKinney, TX. We highly recommend Exactus Physicians as an option for health benefits to self employed and business owners who need health care services and want to provide health care benefits to their employees and for their employees families. We could not be happier with Exactus Physicians and Dr. Zieser. Thank you so much for the valuable tips. It would really helpful. For any information on foot pain problems visit here https://www.crunchbase.com/person/hope-jacoby. Every business owner have take care of their employees by limiting in budget line. You have suggested good ideas and share this useful information with us. Get connected with Synergy360 for Business Consulting Solutions by the expertise and get new ideas for manage business process with effective ways. Every company offers a health benefits to employs. But, select health insurance plan that best for your employs. Visit Innovative Insurance for buying perfect and best employs Insurance plans. They provide insurance plan according to your need and requirement. Whether you need General Liability or Worker’s Comp insurance, we can help to find the best policy for you. It’s already upon us. This seasons cold and flu season is now here. Currently, the CDC states that the cold and flu season has been relatively quiet here in Texas. It is still early and still plenty of time to start looking into getting your flu vaccination.